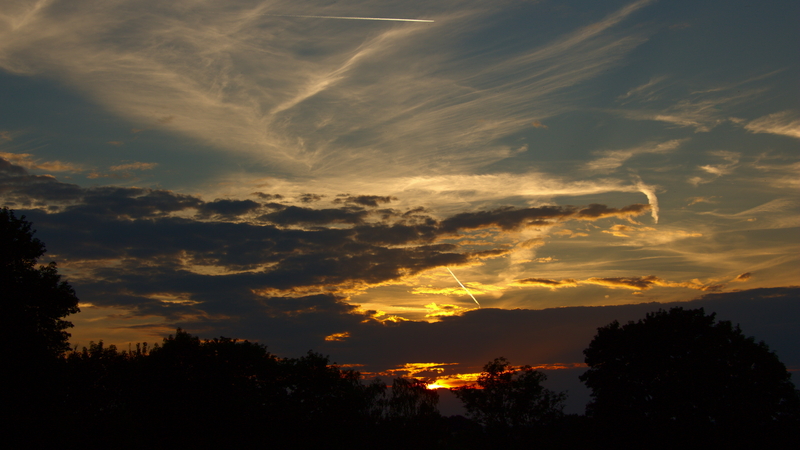 A lot of beautiful timelapse compilations of night skies, city life or nature landscapes have been published recently. But what exactly does it take to produce timelapse videos by yourself from scratch? Can it be done with your equipment on hand? What software tools are required? This article will guide you through the entire production process and the post-processing of raw timelapse material to be reproduced with your hardware equipment and a free software toolchain. Find a TLDR section below. Basically, a timelapse video is composed of individual frames, which have been produced as still photographs by a camera. Usually, the amount of time between two consecutive shots is constant. Depending on the scene, the camera position and orientation may be static or following a predefined motion path. For the sake of simple hardware requirements, we will focus on a static camera setup. Speaking of minimum hardware requirements: You will need a photo camera (yes, modern mobile phones also have a built-in camera) and a computer, which is capable of running the free software toolchain, to do the post processing. Additional hardware to increase the recording quality of your timelapse includes something to keep your camera positioned steadily, e. g. a tripod. Obviously, your camera needs a tripod connector (¼-inch thread) to make this work, but most compact and DSLR cameras have it. To keep the interval between two shots as constant as possible, use an intervalometer. It is a piece of hardware, which you connect to your camera. The intervalometer will trigger the capture of a series of photos with a custom temporal distance. Some cameras or smartphone apps also have a built-in software intervalometer. For the example video below, I used a Canon EOS 650D (also known as Rebel T4i), a lightweight aluminum tripod and a cable-connected intervalometer for around EUR 25, which is compatible to the camera. To view this video, consider upgrading to a web browser that supports HTML5 video and WebM. Video of three timelapse scenes. Download the video, if you experience lagging. Essentially, you are ready to go now. No idea how to find an appropriate scene or subject to photograph? Here are some suggestions, which scenes are suitable to make a timelapse video of. It is a good option to choose very slow, continuous or recurring movements. Fortunately, nature gives us a set of basic opportunities with the sun, moon, stars and clouds. Traffic scenes may include a constant stream of cars, occasionally highlighted by moving trains. Slowly moving ships on a floating river are also a very good timelapse subject as well as moving objects or light sources reflecting in standing water. The example scenes were shot at and around Plauenscher Grund, a beautiful valley in the south-west of Dresden, Germany. You may adjust certain settings of your camera or the photo app of your smartphone even before you are on site. First, set the file format to RAW. Common RAW formats include CR2 (Canon), NEF (Nikon) and ARW (Sony). Some smartphones are also capable of saving the photos in the RAW file format DNG (Digital Negative). Next, you may set the white balance to either a preset or some manual value. Since you are shooting RAW, the white balance can also be corrected in burst mode later in the software. On site, you do not want parameters like focus, sensitivity, aperture value or exposure time to change over time. You have to predefine them fitting to you scene or subject. Switch your lens to manual focus. Then make sure, your scene is focused accurately. To set the other three values manually, especially DSLRs offer a manual mode. The figure below shows the first pictures of our timelapse series test scenes with the required settings applied. Take a test shot, review the result and correct your configuration as needed. First pictures of three timelapse scene series with camera settings. Connect your intervalometer or configure your software intervalometer. Let us assume, the timelapse video scene should be 4 seconds long with a frame rate of 25 frames per second. You will have to take 25 × 4 = 100 pictures. An interval of a few seconds should be suitable, you may start with a value of 3 to 5 seconds. In our example, we configure the intervalometer to 100 pictures with a delay of 4 seconds between two consecutive shots. Now, start your recording process. You will have to wait 100 × 4 seconds = 400 seconds = 6 minutes and 40 seconds. Hence, the actual production of your material is done. Next, you may proceed with post-processing or capture another timelapse scene. First, you will have to copy your picture series from the camera's memory card or internal memory to your computer. I recommend putting the picture files in a separate directory. We will use RawTherapee (GPLv3) as a free RAW image processing software, competing to Darktable and Lightroom. Open the first picture of the series in RawTherapee. You can use the full power of editing capabilities – such as color and exposure correction, vignette and rotation – depending on the scene and your preferences. To produce an HD video, you may crop and resize the picture to the target dimensions of 1920 × 1080 pixels. Target frame sizes of 4K or UHD (Ultra High Definition) with 3840 × 2160 pixels should also fit into your source material without upscaling. Standard camera sensor aspect ratios are 3:2 or 4:3 whereas HD videos are 16:9. Thus, you probably lose some image information on the top or bottom. The figure below shows the first image of the bridge scene edited in RawTherapee. Save all settings in a profile. Select all other pictures of the timelapse scene and apply your profile to them. Adjust the compression level of the output files, i. e., the JPEGs. Append all pictures to the processing queue and start the processing, if it is not starting automatically. Depending on your computer's performance, the size of your photo material and the complexity of editing operations, processing may take a while. Finally, you should have a series of JPEG files in your output folder. To make a video file out of the series of pictures, we use VirtualDub (only available for Windows operating systems) or Avidemux 2.5.6. Strangely enough, newer 2.6 versions of Avidemux cannot handle JPEG files. A continuous numbering of the source files is required to be automatically recognized as being subsequent. Example: The filename of your first picture is IMG_5024.jpg, the following files have to be IMG_5025.jpg, IMG_5026.jpg and so on. Consider renaming, if the filenames do not meet this condition. First, load the initial picture into VirtualDub or Avidemux. Select a video encoder, i. e., compression algorithm. The compressor of H.264 named x264 – also known as MPEG-4 AVC (Advanced Video Coding) – is a good one. On Windows, it is provided by x264vfw, if you want to use VirtualDub. Avidemux has it built-in. The options to select an algorithm from are again depending on your platform. Choose MP4 or WebM as a muxer for encapsulation, especially if you want to publish the video on the Web. Optionally, use any other filters or advanced compression settings offered. Next, select File → Save as AVI in VirtualDub or File → Save in Avidemux. The video file is now being created. Once the video file is ready, it can be watched in a video player such as VLC media player. The result so far is one timelapse scene represented as a video file using the dimensions of the exported JPEG files during raw processing and the video encoding options selected during the assembling process. Assuming that you want to share your single timelapse scene, VLC media player provides the option to directly convert your video, e. g. using a higher level of compression or a different codec. The introductory examples feature a series of timelapse scenes, since the individual scenes are often very short due to the capturing time needed. 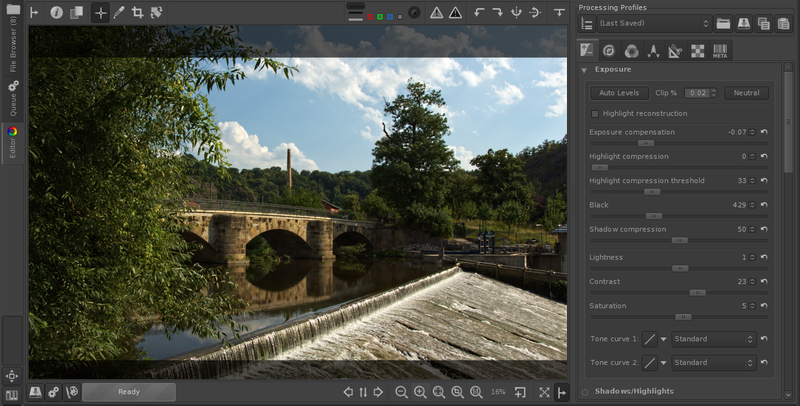 To concatenate multiple timelapse scenes, linear video editors like Avidemux and VirtualDub will do the job. Additionally, your video has no audio track yet. Blender, originally a professional 3D modeling software, is an excellent non-linear video editor as well. Use it to compose different timelapse scenes, add audio tracks and do further video effects and overlays. Soundcloud allows you to filter music based on the license. Pick audio licenses according to your preferences, i. e. publishing needs. With a basic understanding on how to operate your camera and some additional equipment such as an intervalometer, you should be able to produce and post-process your own beautiful timelapse videos from scratch. Having minimum hardware requirements, this production workflow runs on a toolchain of free software. If you like this basic video creation process, you may want to try out sophisticated hardware setups involving sliders and crane constructions or advanced software techniques such as exposure blending and deflickering. You will find corresponding tutorials on the Web, especially on YouTube as well as those on how to adjust specific settings for your particular camera type. What are your experiences on timelapse photography using free software? Discuss this article on facebook. There is a corresponding step-by-step tutorial, which will guide you through the process presented here.